Any dedicated chef knows that working with the right tools can often be as important as working with the proper recipes and ingredients. While something like a cutting board might not seem like the most crucial component in your kitchen, the quality of a cutting board can actually make or break any creation. Working with a subpar cutting board can result in poorly diced or unevenly cut ingredients. However, when you use the best wood cutting board, you'll get more precision and accuracy in your creations. 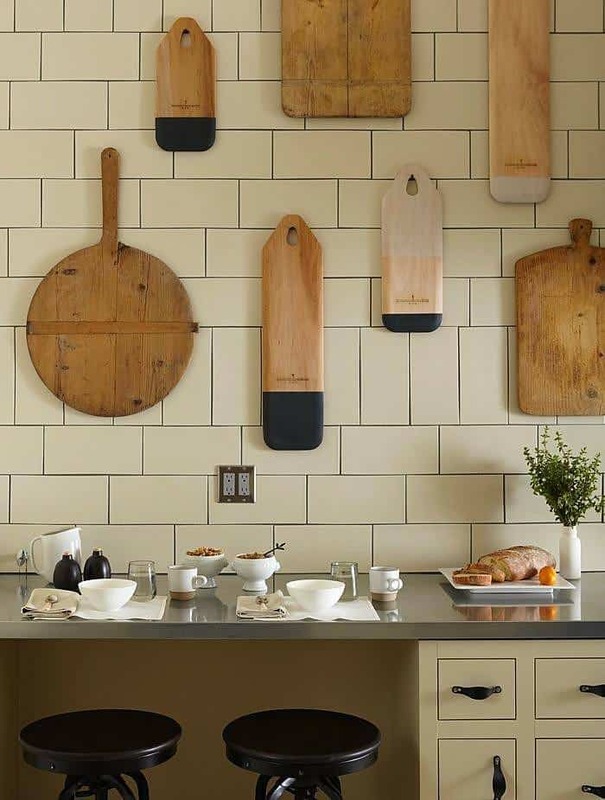 Plus, a great cutting board can do wonders for your kitchen's decor. 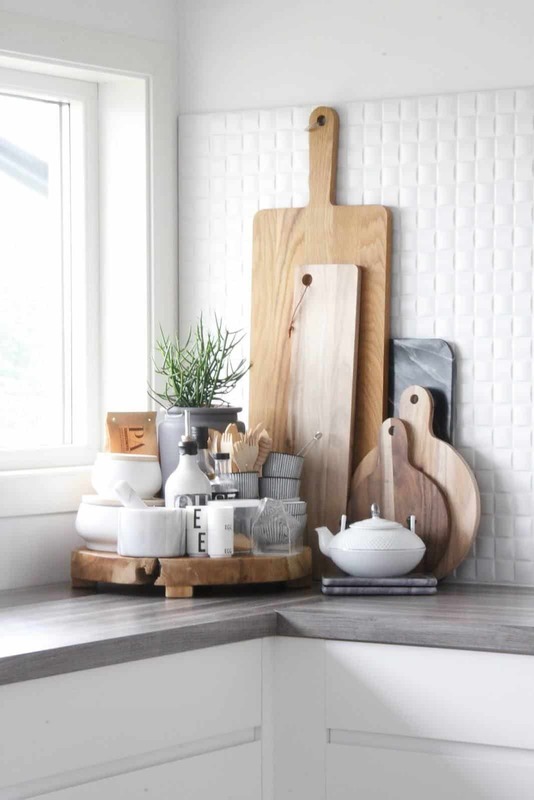 The Best Wood Cutting Boards Aren't Just Tools: They're Decor and Serving Item! When it comes to cutting boards, there seems to be a ton of misinformation out there. Many people erroneously believe that wood cutting boards are unhygienic and that plastic cutting boards are actually the cleaner choice. At first glance, this does indeed sound right. After all, plastic can be easily cleaned with bleach and is generally smooth while wood cutting boards cannot be bleached and often have grooves and knots. Well, just because something sounds right doesn't necessarily mean that it's true. The myth that plastic cutting boards were somehow superior seemed a bit fishy to researchers﻿﻿ ﻿﻿at ﻿﻿﻿UC-Davis. After extensive research, they discovered some eye-opening facts about cutting boards. While plastic cutting boards are indeed the more hygienic choice when they're brand-new, a plastic cutting board stops being the superior option once you've actually taken a knife to it. Once cuts and grooves are etched into the plastic, it becomes extremely difficult to actually clean it to a point where it is free of harmful bacteria, such as E. coli and salmonella, found in raw meat. However, wood seems to behave in a very different way. While bacteria can in fact slip into grooves and notches, they tend to burrow deep into the wood, thus rendering the surface safe for future use. Furthermore, wood is an uninhabitable environment for some bacteria, which means that they'll eventually die off entirely. Ultimately, this is one of the best reasons to choose wood cutting boards over plastic alternatives. When it comes down to it, wood cutting boards are simply the cleaner and safer choice. While academic researchers could never scientifically prove something that's ultimately a matter of personal taste, I've found that wood cutting boards tend to be the more attractive option. Plus, most of the chefs I've spoken to tend to agree. While plastic cutting boards generally look like a kitchen instrument and nothing more, a handsome wood cutting board can be used as both a culinary tool and a serving tray. For example, a lovely charcuterie looks rustic yet refined when served directly on a wood cutting board. A wood cutting board can be a unique way to present artisan ﻿cheeses and raw vegetables as well. One of the best ways to get the most out of your wood cutting board is to keep it well-maintained. Yes, this means cleaning it with care instead of merely throwing it in a dishwasher. While this might sound unnecessary, you'll be amazed at how the proper cleaning and conditioning can keep your cutting board looking fantastically new and attractive even after years of usage. Since wood is a delicate material, it's not a good idea to clean your cutting board with dish detergent, which can be harsh and drying. Instead, follow this tutorial's instruction video to clean your cutting board with coarse sea salt and lemons. The coarse sea salt will act as a physical exfoliant and wipe away any dirt, food residue or grime. The citric acid in the lemon will act as your disinfectant and kill any bacteria. It might seem like a lot of work, but don't skip the conditioning step. Moisturized wood is healthy and attractive timber. Use pure mineral oil as it won't break down or become rancid the way a substance such as olive oil will. Gently apply it to the wood with a microfiber towel and rub it in circular motions until the wood is no longer soaking in the oil. Wipe away any excess with a clean rag and let the wood sit at least 24 hours before you use it again. You actually won't need to wash away the oil if you let the cutting board sit for the appropriate amount of time. The oil will in fact soak into the wood, leaving your cutting board healthy and moisturized. As you can see, I highly recommend that any chef invests in a great wood cutting board. Not only is it the more hygienic choice, but a wood cutting board can add a touch of elegance when used as a serving tray. Ultimately, the right care and maintenance will ensure that your wood cutting board remains a fantastic asset to your kitchen. 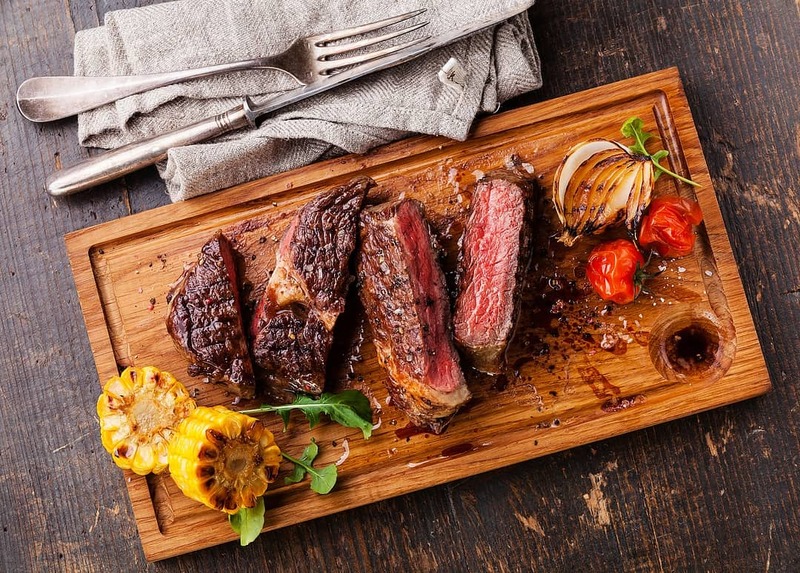 If you're going to invest in a wood cutting board, then it's essential that you procure one that will meet your culinary needs and suit your personal style. Here are 5 wood cutting boards that I personally recommend based on their appearance, quality and craftsmanship. Not only is this one of my favorite cutting boards, but it's one of my favorite items in my kitchen, period. When I first spotted this board in stores, I'd admit I was ready to bring it home to my kitchen before I even read the specifications on the product. It features quality materials that are alternated in an absolutely stunning striped pattern. The wood is heavy and well-conditioned, which means it's an absolute treat for the eyes when used as a serving tray. However, don't let its beauty fool you. This thick board has proven to be durable no matter what I've done to it. It has a gorgeous, eye-catching design. It's made of fantastic materials. It arrived polished and continues to condition beautifully. The board is extremely durable and can withstand just about any knife or cutting technique. No hook or hole means that there is no way to hang this cutting board. The large surface area means that it certainly takes up space in any kitchen. 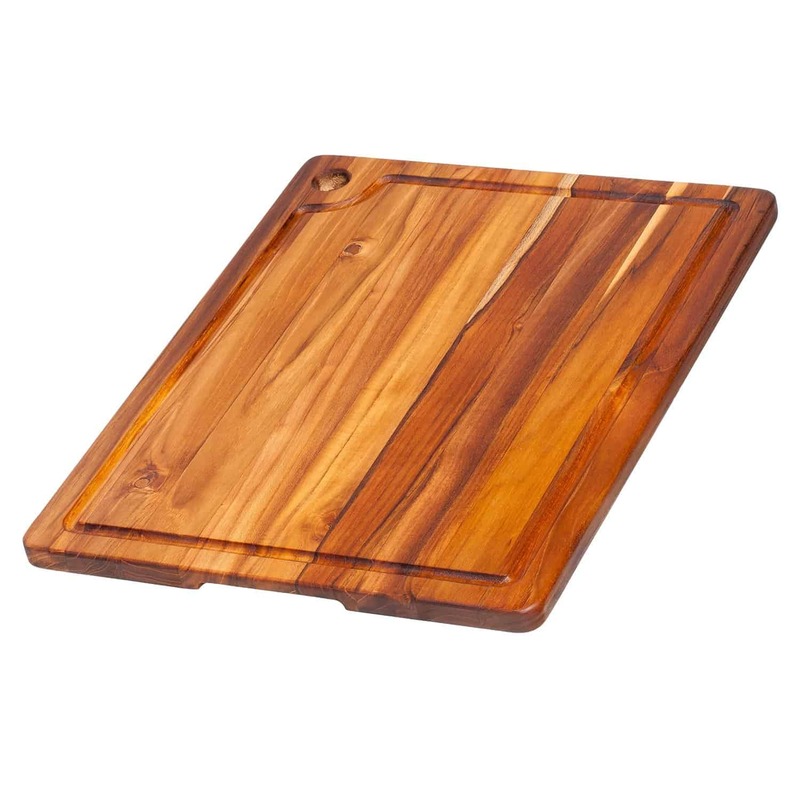 Th﻿﻿is cutting board would be a beautiful addition to any chef's kitchen. Although it features a unique shape, don't let it fool you. 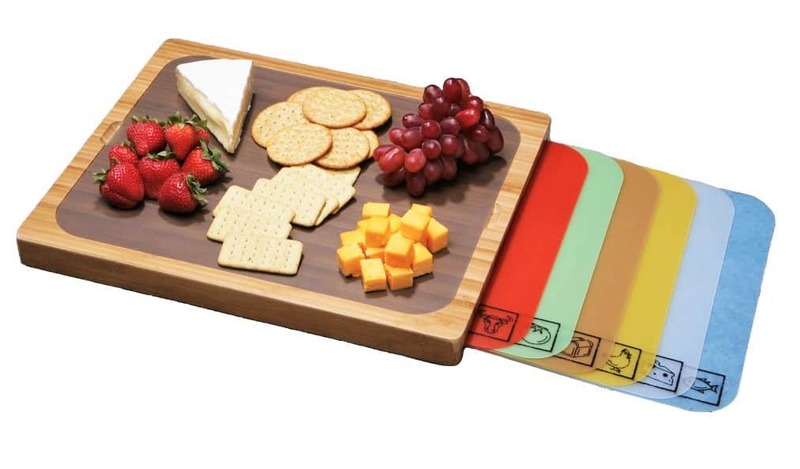 As much as it is a decor piece, it does an excellent job as a cutting board. In fact, it has proven to be surprisingly durable when I have used it in my kitchen. While I do prefer it as a serving tray, I have enjoyed using it to finely chop veggies and herbs. It conditions beautifully and will maintain its luster when properly cared for with mineral oil. Honestly, I like this board for its functionality and its distinctive and decorative appearance. 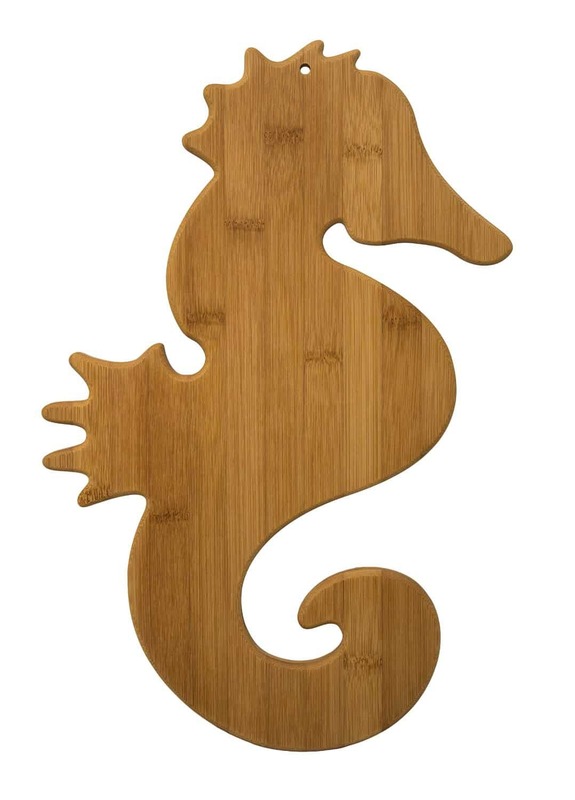 The seahorse design is stunning. It maintains its luster if it is regularly conditioned with mineral oil. It makes for a great serving tray. This is far from the world's most durable cutting board. I wouldn't recommend it for dicing hard-to-cut ingredients. 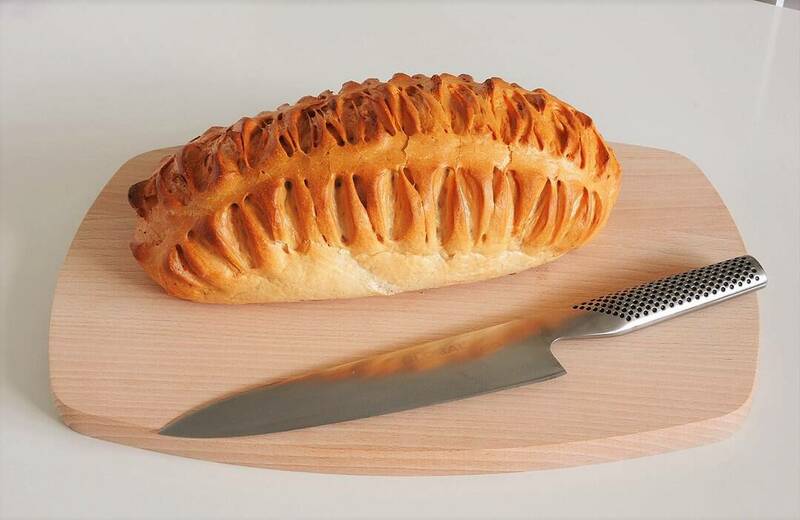 Thanks to its unique design, this is definitely a cutting board that requires periodic care and maintenance. This wouldn't be the best choice for a no-frills chef, though. If you're the sort of chef who prefers your cutting boards to be all utility and free of frills, then you'll love this cutting boa﻿rd . 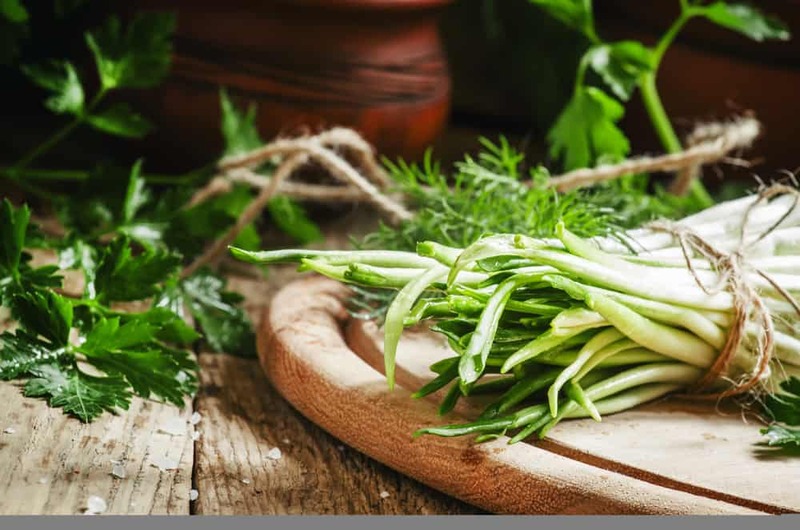 It's dense and designed to be no-slip, which means that it won't move around when you're cutting and dicing challenging ingredients. It features a juice canal that will collect the excess liquids of any raw meats. While this board serves a definite utilitarian purpose in my kitchen, I have never once used it as a serving tray. It's useful, but by no means is it attractive. In my opinion, a truly great cutting board is both usable and appealing to the eye. The thick and dense wood makes it perfect for difficult jobs. The juice tunnels make cutting raw meats simple. This is not the most visually stunning cutting board. It's never my first pick for serving things like charcuterie or cheeses. It is heavy and large, so it will definitely take up some space if you have a small kitchen. This cutting﻿﻿ board is my personal top choice for working with red meat, fish and raw poultry. It features what is known as a juice canal, which is a reservoir that runs along the outside edges of the board. This allows the juices from meats to gather outside of the main area of the board, which makes both cutting and cleaning up a lot easier. However, I've never been a big fan of the aesthetic of this board, and I don't think the craftsmanship is anything to write home about. It arrives unpolished, and I generally resent having to condition a board with mineral oil before I've even used it. Furthermore, while mine arrived to me in generally good condition, I've heard many chef friends tell me that they received theirs with unfilled knots or grooves that should have been sanded out. The juice canal makes it ideal for working with raw meat. The large surface area gives chefs plenty of room to work. It's not conditioned upon arrival. I've heard multiple complaints regarding grooves and ridges. While this might be a matter of personal taste, in my opinion, this board isn't attractive enough to be used as a serving tray. The juice canal serves a definite purpose, but it makes this board look like a kitchen utility item and not much more. At the risk of sounding like a bit of a culinary snob, it should be known that I have never been a big fan of gimmicks in my kitchen tools. Hence, I've never really understood this board, which I admittedly received as a gift. This is an average board that is hollow and contains within it five thin plastic cutting mats but i do not really like it. I do not trust that they create a sufficient barrier between my knife and my countertop. As for the board, I'm not crazy about the hollow design. However, I have friends who love this board. A chef friend of mine has adamantly defended this board, saying that the cutting mats are useful for keeping a surface clean during food prep if one is averse to actually cutting on them. Ultimately, this is not an item I would have ever purchased for myself. It comes with five cutting mats, which some will find useful. The nontraditional design makes it a unique item. It's a novelty item that isn't ideal for serious chefs. The hollow design means it never truly feels like a sturdy surface. If you take away the novelty of the cutting mats, it's not a particularly impressive board. Ultimately, if I had to suggest one board that was, pardon the pun, a cut above the rest, it would absolutely be the Mountain Woods 15-by-12-Inch Butcher Block Cutting Board. This cutting board is the clear winner for two reasons. First and foremost, it is utterly stunning and fabulously does double duty as a gorgeous serving item. Besides its aesthetic appeal, though, it's truly a great product. It can withstand a wide array of cutting techniques and blades, and it conditions to factory quality when cared for regularly. 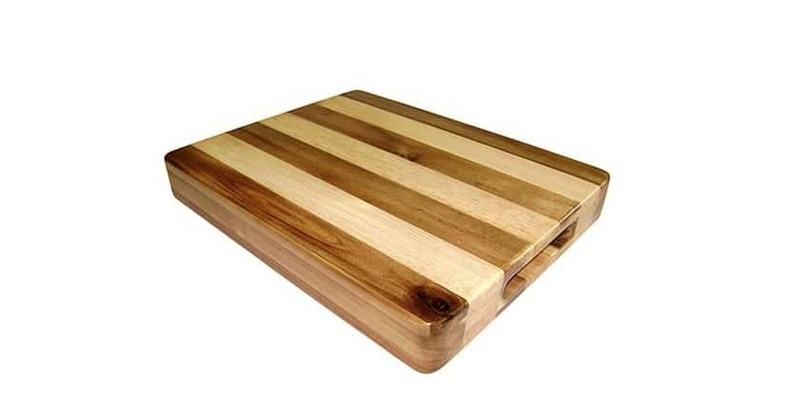 What do you look for when shopping for a wood cutting board? What would be the necessary components of, in your opinion, the best wood cutting board? Share your thoughts with me in the comments below.